Re-development of a run-down waterfront area in Cape Town South Africa into prestigious shops, hotels, flats, cafes, etc. called for a range of public information kiosks with compact concealed hinges to permit access for installation/maintenance. 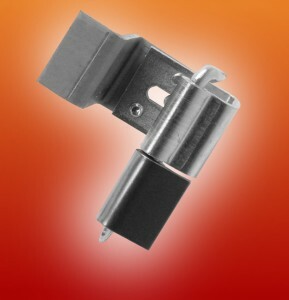 Here at FDB Panel Fittings we were delighted to provide our 4-100 90 degree weld-on hinges with central guide which resist sagging during adjustment. The situation called for double-sided kiosks with back to back 55 inch LCD screens mounted in a 2.4m high by 1m wide housing just 200mm deep – so internal space was at a premium and strength/rigidity essential. Aesthetic design was paramount in the presentation of this installation which was intended to offer a larger than life interactive experience to visitors and to suit the contemporary styling of the wider development itself. It is satisfying that we were able to play a small but significant part in this successful project by supplying from our comprehensive range of specialist panel hinges. Share the post "Hinging on the Waterfront in Cape Town"